Something simple for you all today! I did this a while back and I thought it was really cute! 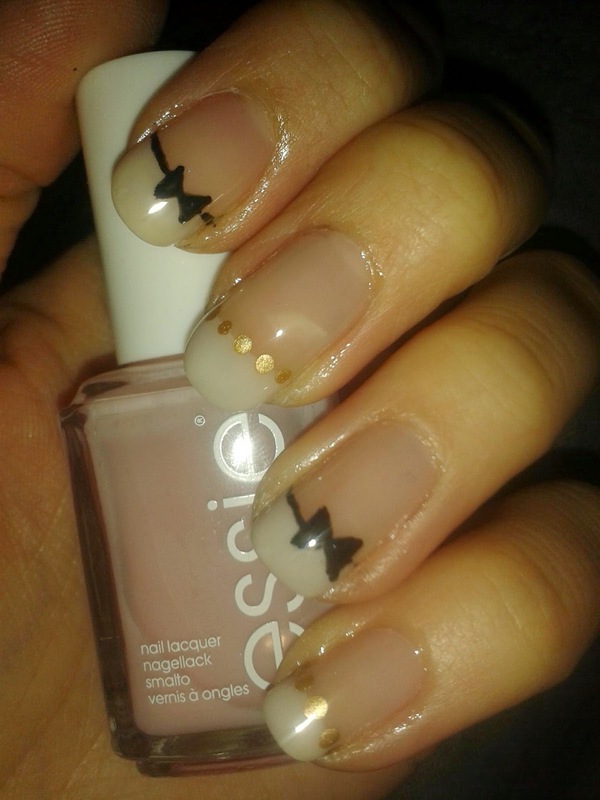 I did a basic french mani with a MeMeMe that I forget the name of and Essie Sugar Daddy, then I drew a straight line along the nail line with a Barry M Nail art pen, then drew in the little bows. 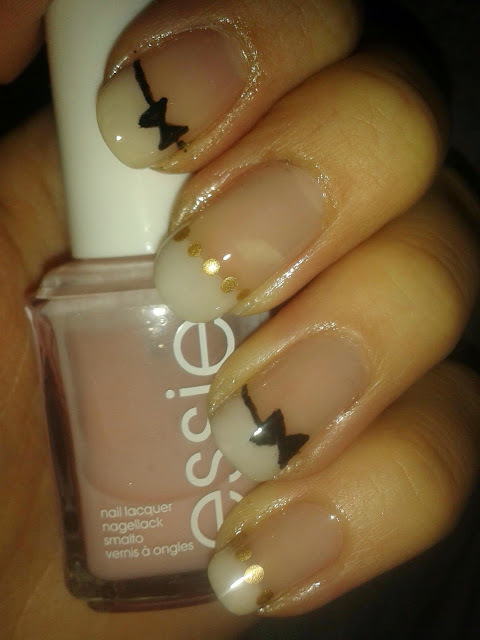 Added some gold Nail Inc Lanesbourough place to liven up the other nails and there we go. Not much more to say about this so I'll keep it short and sweet. Enjoy the weekend! These look flawless, I actually thought they were decals at first until I read the post!